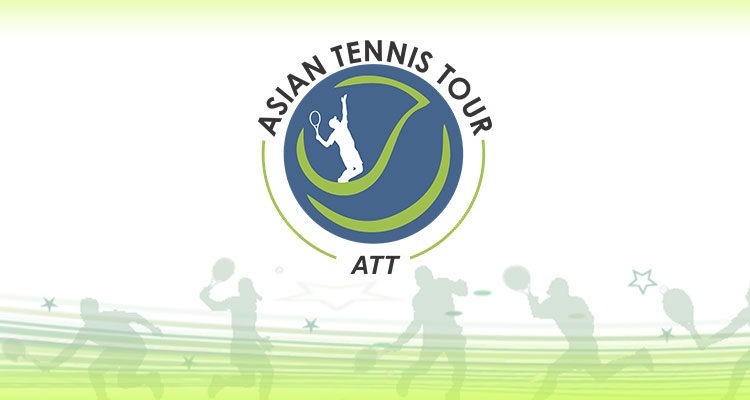 ATT will be open to players who are citizens/passport holders of 44 countries affiliated to Asian Tennis Federation. ATT is open for both male and female players and has four categories as listed below. Closed national tournaments aims to convert most of the current national tournaments into Asian level tournaments, where the participation will be restricted to players from only the country where the tournament is taking place, and no overseas players will be permitted to participate. This will ensure that national players will get opportunity to play in international tournaments, while the competition will be restricted to domestic level. This will also enable nations in identifying domestic talent and give them exposure to develop into world-class players. However, there will be a restriction on number of USD $3000 closed national tournaments a nation can host during a calendar year, which will be dependent on the number of votes the nation has. There will be no restriction on the number of open tournaments a nation can host. 1 vote Nations- Maximum of 2 USD $3000 closed national tournaments. 2 vote Nations-­ Maximum of 3 USD $3000 closed national tournaments. 3 vote Nations-­ Maximum of 4 USD $3000 closed national tournaments. Other open tournaments will be accepting players Pan Asia, without any restriction. USD $3000/ USD $6000 tournaments will have only singles. USD $10000 tournaments will have both singles and double events. The doubles event shall have prize money only and no double points shall be awarded. One time grant of USD1000 would be given to 1 vote and 2 votes nations for hosting 1st open tournament in any prize money category. Every player participating in ATT will be required to obtain APIN, online, from ATT website. The players can easily obtain the APIN by filling in the required information and uploading copy of passport or copy of National Identity card issued by government. Only players with passport/ identity card of 44 ATF affiliated countries will be able to obtain the APIN. APIN will be valid for 1 calendar year and would attach a yearly fee of US$ 20. A uniform schedule of tournament will be followed across for all the events. The signing will take place on Saturday (7pm to 9pm local time). Qualifying to run on Sunday and Monday, while the Main draw will run from Tuesday to Saturday. The tournaments could have reduced officiating requirements to curtail the cost for the organizers. All the tournaments should have a referee with minimum White Badge certification. Experienced Chair umpire is a must for all the main draw matches. The fees will be in addition to the air fare and the hospitality. For nations who do not have white badge officials to act as referee in the ATT tournaments, ATF will arrange for a white badge official for these tournaments and sanction an officiating grant of USD $550 to part cover the white badge expenses. Other costs are to be borne by the host nation. A Tournament Director is to be appointed by the host nation, to liaise with the players and ATF and to oversee the smooth conduct of the tournament. An English speaking sports medicine trainer should be available on site to assist players with the medical needs on site, at all times. A doctor on call should also be available. ITF approved balls to be used for matches. Minimum of 4 balls to be used for all main draw matches, changing at 13/ 15 games. For Qualifying matches 4 balls to be used and balls are to be changed only before the final set ( final round only, as the other rounds will have a match tie break in place of final set). Used balls to be made available for the players for practice during the tournaments. A stringer is to be provided on site during the match days. If artificial lights are to be used, it should be of minimum 500 lux, evenly spread throughout the court. 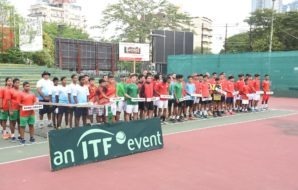 ITF rules of Tennis and ATT code of conduct to be in force during the tournaments. Prize money will be paid in US$, unless approved by ATT office, with due tax deductions as per applicable law of the counties. Entry fees for USD $10000 events will be USD $20 per player for main draw and qualifying. For the other events Entry fees will be USD $20 per player for main draw and USD $10 per player for Qualifying. All main draw matches and final round of qualifying will be played in best of 3 tie break sets. The other round of qualifying matches will be played in best of 3 sets, first 2 sets being normal tie break sets, while a 10 point match tie break being played in lieu of final set in case score becomes one set all. Seeding to be done purely on ATP/WTA ranking only. 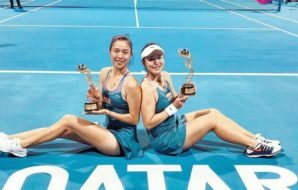 From Calendar year2020 first priority will be Asian Ranking. All entry and withdrawal will be done online, through APIN log-in by the players. No emails will be accepted. Real time entries will be available for the players at any given time. Entry deadline will be 12:00 Indian time 14 days prior to tournament Monday and withdrawal deadline will be 12:00 Indian Time 7 days prior to tournament Monday. Players will be permitted to enter only one tournament in one week, with no exception. Freeze deadline will be 12:00 Indian Time on Thursday prior to tournament Monday. The players will be given ATT points for participating in the ATT tournaments, based on the point table as listed below. 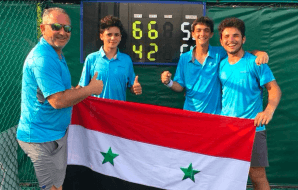 Further the points of the players earned by virtue of participating in ITF world ranking Tournaments will also be converted to ATT ranking points, to arrive at the final ATT ranking points. The ATT Ranking will become important as, the Asian ranking will serve as basis for allotting wild cards into higher level of professional tournaments, like Challengers, across Asia from time to time. The first series of Wild cards will happen in the year 2020, which will be given to top 10 players based on year end ranking. 10 wild cards will be handed to top 10 male players into ATP challengers across Asia in 2020 (1 to each of the top 10 players). Further 10 top female players will receive 1 wildcard each into ITF Women’s 25K or above tournaments in the year 2020. The tax will be deducted from the above prize money as per the applicable laws of host nation.